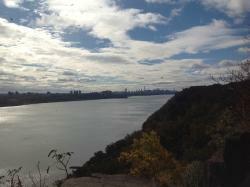 The trail at the top of the cliffs is the Long Path (aqua colored marker) which runs from the George Washington Bridge to Massachusetts. 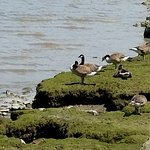 Enjoyed some rest at the Alpine picnic area with docked boats, picnic & fishing areas; Yonkers, NY was across the river as scenic views surrounding the river. 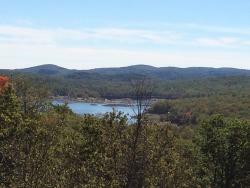 Full of outdoor activities and hiking trails. 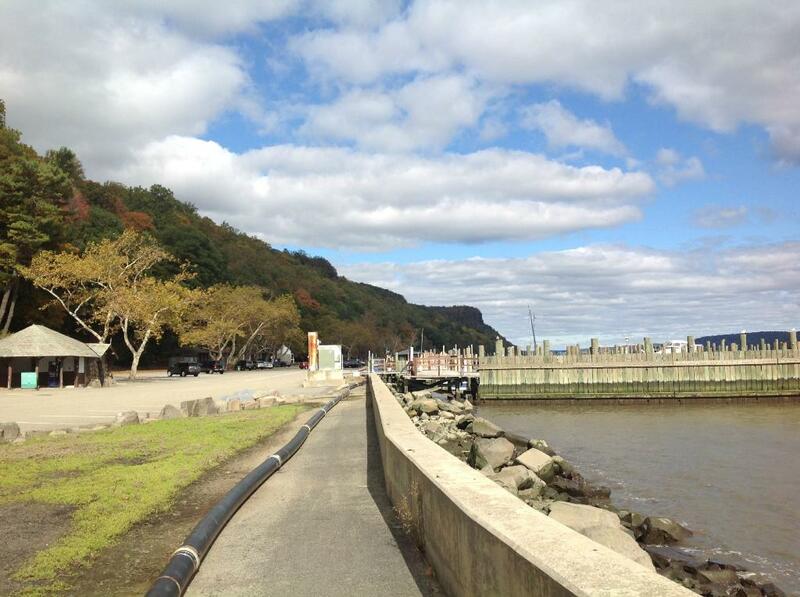 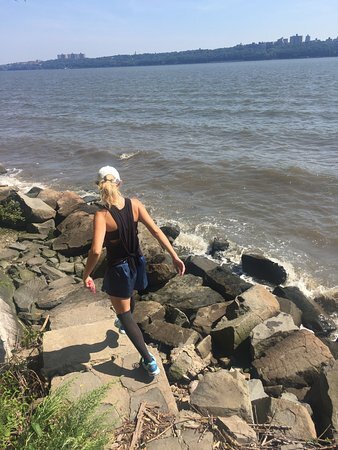 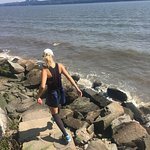 Take in the beautiful views of New York across the Hudson River as you walk the shore trail. 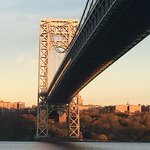 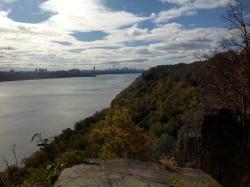 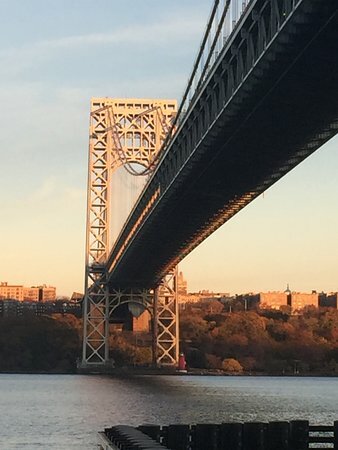 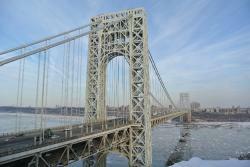 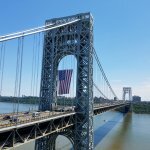 Or hike along the aqua trail from the north at State line lookout to the George Washington Bridge. 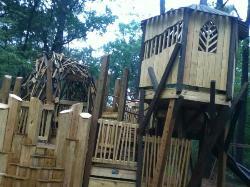 Plenty of picnic areas and two food huts. 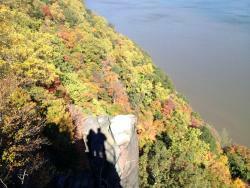 This forested area in New Jersey and New York have a topography that brings together mountain and river. 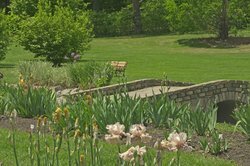 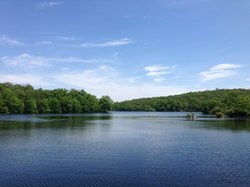 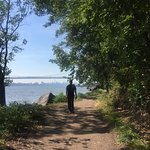 Palisades Parks - the drive by gems you missed! 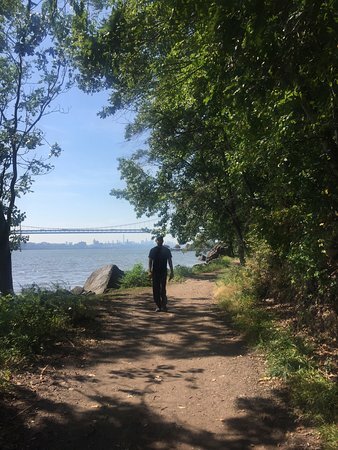 Get quick answers from Palisades Interstate Park staff and past visitors.